Dimension Data, the official technology partner of the Tour de France and title sponsor of World Tour cycling team Dimension Data, is hosting an online auction of its fleet of 20 Team Dimension Data Cervelo S5s. From the Tour de France to the Tour Down Under, these bicycles have been part of some special moments of greatness, including a total of 313 professional wins. 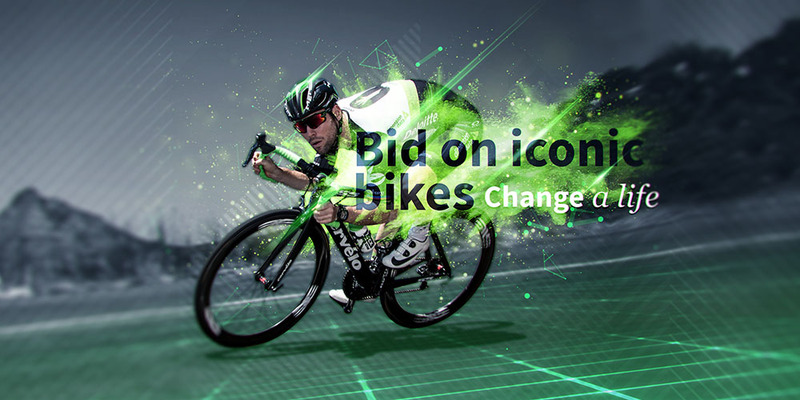 Members of the public can bid on a piece of cycling history including bikes ridden by Mark Cavendish, Bernie Eisel, Serge Pauwels and Edvald Boasson Hagen. Qhubeka is a Nguni word that means "to carry on," "to progress," or "to move forward". In Africa's rural communities, people often need to walk long distances to access basic services like healthcare, schools and shops. 500,000 children walk 6+ miles (or 60+ minutes) just to get to school every day. In these communities, bicycles can change lives. Nobody knows this better than Team Dimension Data rider Nic Dlamini and recent Qhubeka bike recipient Felencia de Kock. Qhubeka mobilizes people by providing bicycles in exchange for work done to improve communities, the environment or academic results. Schools in these communities have reported a 59% improvement in the academic results of children who ride a bicycle to school. Scott Gibson, Group Executive, Digital Business Solutions at Dimension Data said, "We are incredibly proud to support Qhubeka, a charity that makes such a huge difference to people in Africa. Around 80,000 bicycles have been distributed since the charity's inception in 2005, partly thanks to the #BicyclesChangeLives campaign championed by Team Dimension Data during Le Tour. We hope this auction goes that extra mile to help the charity reach their 2020 target, and ultimately mobilize more children on bicycles in South Africa." The auction is now live and will run until the 23rd of November at the following site: www.32auctions.com/DimensionData.